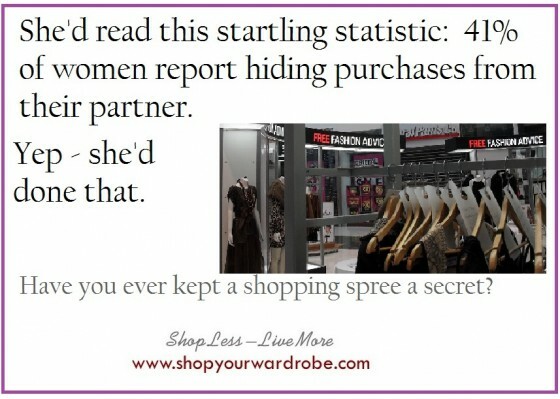 She’d read this startling statistic: 41% of women report hiding purchases from their partner. Yep – she’d done that. Have you ever kept a shopping spree a secret? All photographs taken by me (everywhere from Sydney to San Francisco) — and a thought-provoking, fun and/or quirky message. To inspire you to think about your shopping in a new and fresh light.